Like many stocks, the shares of Intel (NASDAQ:INTC) have had a roller coaster year. Intel stock hit a 17-year high in June, and the shares had risen over 25% in 2018 at that point. But after a sector-wide selloff, the INTC stock price today is actually below the levels at which it had traded at the beginning of 2018. And as with many stocks, there’s an argument to be made for buying the dip of Intel stock. A forward price-earnings multiple of about ten and a 2.6% dividend yield both seem attractive, considering that Intel stock is a blue-chip giant. Moreover, Intel is making progress in smartphones, notably displacing Qualcomm (NASDAQ:QCOM) in Apple’s (NASDAQ:AAPL) iPhone. INTC also rolled out new chip technology earlier this month. There are two key problems facing Intel stock, however. The first is that Intel is facing real challenges. I argued back in April that Intel stock already had made its big move; the stock admittedly is cheaper now, but the risks it was facing earlier this year haven’t gone anywhere. And secondly, for investors looking for chip exposure, there’s no shortage of similar candidates. As a result, it’s difficult to make the case that Intel stock is the best play in the space. The big argument in the chip sector in 2018 was over whether this time really was different for semiconductor companies and semiconductor stocks. Whether for equipment manufacturers like Applied Materials (NASDAQ:AMAT) and Lam Research (NASDAQ:LRCX) or hot chip plays like Nvidia (NASDAQ:NVDA) and Advanced Micro Devices (NASDAQ:AMD), the debate was clear. Semiconductor bulls argued that long-term growth opportunities in automotive, IoT (Internet of Things), and the cloud would turn the traditionally cyclical business into a continuous growth story. Skeptics replied that the cycle always turned and would do so again. One way to view the semiconductor sector’s performance in 2018 is that in the first half of the year, the bulls won and in the second half, the bears were triumphant. To end the big selloff of chip stocks, the trend will probably have to reverse again. If that’s the case, there’s an obvious problem for INTC stock. If the reversal doesn’t come, Intel stock probably is dead money at best. The chip sector’s leader is unlikely to rise without the sector as a whole doing the same. But if sentiment does improve, investors will be better off with a different name than Intel stock. If a cyclical swing comes or if investors again focus on long-term growth more than near-term disruptions, INTC is unlikely to be the biggest beneficiary. The biggest problem for Intel stock is that the company is still exposed to relatively weak markets. According to its SEC filings, over half of its sales still are what Intel calls “PC-centric”. The company managed to increase the revenue generated by those products by 9% this year, including a 16% jump in Q3. But that trend is not going to last forever. PC unit growth has been flat at best for years. Add in competition from a resurgent AMD and it’s tough to model much, if any growth, for fully half of Intel’s revenue. Intel does get over one-third of sales from its datacenter and IoT businesses. But Nvidia is making a charge in datacenter, and so is AMD. IoT chips are going to be cheap, low-margin products, since they don’t require much processing power; in 2016, one of Intel’s IoT chips was likely the cheapest product it’s ever made. Intel’s acquisition of Mobileye sets it up for growth in automotive, but it will be facing Nvidia and many others in that space as well. If the semiconductor sector has huge growth ahead of it, it’s tough to see at this point how Intel captures the lion’s share of that growth. And for investors looking for a play on any of the individual growth markets, there are better stocks to buy. 5G wireless? Buy similarly cheap QCOM. Datacenter? Nvidia’s share gains will drive growth, while Intel almost certainly will see its near-monopoly erode. Even AMD looks potentially more attractive for those looking for broad exposure to the chip market. The one way for Intel stock to outperform is for Intel’s business to get back to its old, successful ways. And there are some signs of good news on that front. The company’s long-delayed efforts in 10nm finally appear to be bearing fruit. Intel unveiled stackable logic chips this month, which should be available in the second half of 2019. The company that for a long time was the leader in semiconductors could get back to that point. Even though the valuation of Intel stock is low, betting on a resurgence of Intel’s sector leadership seems risky. Competition simply is so much more intense than it was even four or five years ago. Moreover, Intel’s end markets aren’t growing, so stable market share won’t necessarily produce much revenue growth. Meanwhile, the ever-present decline of chip prices can pressure margins, leaving Intel’s overall earnings flattish. Admittedly, that might not be a terrible scenario for Intel stock, which is pricing in minimal growth anyhow. But it’s not the type of bull case that other chip stocks offer. For investors who believe a chip rebound is coming, Intel stock simply isn’t the best way to play it. And if the rebound doesn’t come, Intel’s exposure to PCs and smartphones could drag Intel stock further downwards. 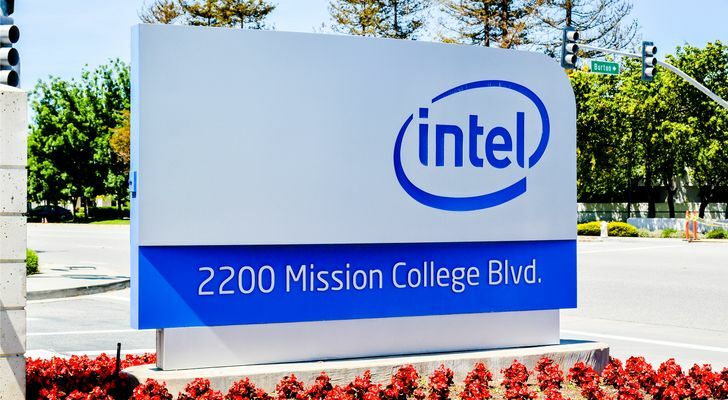 Article printed from InvestorPlace Media, https://investorplace.com/2018/12/better-chip-stocks-2019-intel-stock/.